Those of you smarter than me and with better memories: When was the last time we drafted a big wide receiver that was worth a darn? In 1980 we picked up a decent big WR. 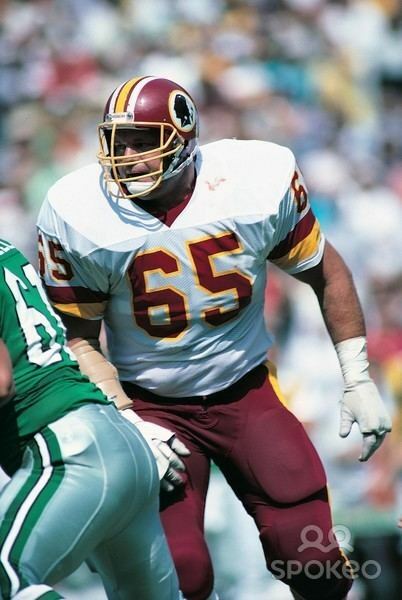 Honestly, we've gone from Art Monk in 1980 to Jordan Reed in 2013 in terms of drafting 'home run' big fellas that got open / had great hands. Hope it's not another 33 years as I'm just as likely to be dead and gone in 2046! If we draft a WR in Round One I will turn off my TV. There is a nice arm chair GM mentality surrounding the BAP approach that always works in Madden 2020, but this team is not lacking ANY offensive weapons save perhaps a question mark (not a deficiency) surrounding its running attack. That is it. The Defense will never get any better than what you saw this year until the Defensive Line and the ILBs are totally re-tooled. The Secondary is almost as big a challenge, especially at Safety. This is a make-do defensive roster and this team has little to no hope of making a difference in the Playoffs until it changes. This is a soft; injured, old and slow Defense and its just not very talented when all is said and done. I agree with you, but what if there is a WR available that projects to be a perennial Pro Bowler while the best defensive player only has a round 2-3 grade? McC has always said BAP, and remember the draft occurs AFTER Free Agency(which I never really liked), so there is a chance we might sign some defensive players to reduce the need to absolutely draft one in round 1. I know you were asking someone else but my take is simple. IF the Redskins keep the WRs they have right now for 2016 and beyond then I don't see drafting a WR as a need or even all that smart. Unless the gap between the WR on the board and pretty much any other position is just so large that they would be bloody fools to pass on the WR. WR is not the problem on this team. And judging by this season, the Skins are closer to contending than orginally thought so I think that 1st round pick has to be an impact starter that starts from day 1. I don't see a WR drafted starting over Garcon, Jackson or Crowder. Garcon's contract expires after the 2016 season and Jackson's the season after that. In that WRs typically take a season to develop, I can see a case for taking a stud WR if that's the way the draft shakes out. Yea, I guess so then. I disagree if a a WR is there and he is the BAP I would say take him we have been desperate for a true #1 WR for over 20 years. Who's the 'stud WR' on the Panthers??? Cardinals??? Seahawks??? You can find WRs with an NFL skillset outside of the first round. Even Pierre and DJax weren't 1st round guys. Good programs DEVELOP talent, they just don't draft the most polished guys in the draft. If a defensive player and WR are similarly graded by McCloughan at pick 21, I couldn't understand his drafting the wideout. Well not everyone reads every single post PC. Its also in the salary cap charts and has been there since Jackson signed. And that is why you cited the contract re-work extensions too, PC. I think its highly likely this comes to pass both for short term Cap purposes and to ensure we have continuity for the next 2-3 years with Cousins. While the Skins may draft a WR in the Draft I wold bet the house its a later round selection where the real value at the position is. We have the horses to run this offense so why change in mid-stream when you are ramping up a Franchise QB in an offense all these guys are just getting down? Unless a WR SMAC ranks highly drops to #21 and is clearly the best player on the board, that probably will be the case. In any event whoever (and wherever) we draft a WR he'll just take Andre Roberts spot on the roster and not replace Garcon or Jackson in 2016 (and possibly longer). What do you think about Michael Thomas in the 2nd round? I just think we need a big body WR who can out physical DBs for balls IMO. The last time we had a real GM. It is not unusual for a WR to take 2-3 years before "getting it". I still think there is quite a bit of potential there in Ryan Grant to take over for Garcon. If we can get Garcon to extend for a much more cap friendly deal, then that would be great, and Grant can fight for a roster spot. But if Garcon isn't willing to do that, I could see him getting released for cap purposes as has been discussed numerous times over the past year. Then that would really open things up and we could see if Grant is ready to take the next step in his development. Like others have said, if there isn't a blue chip WR sitting there at #21 that is clearly the BPA in Scot's mind, I just don't see us going WR at that spot. The only offensive positions I could see Scot taking at #21 would be OL (that projects as OG or C) or RB. But again that player would have to be hands down BPA over whatever defensive talent is on the board. JMHO. This makes me throw up in my mouth when I think we have not been able to draft a big wide receiver since 1980 that was any good. Maybe we can count Jordan Reed as a wide receiver. We have so many holes on defense I wouldn't draft one early this year anyway. Our receivers played great the last half of the year. They were able to get open and Kirk hit them. They didn't against Green Bay, for whatever reason. I haven't read past your post, but I would definitely take him in a heartbeat at 21. Meh, my ND homer-ness is coming out, but if we got Smith AND Fuller, I would really be ecstatic. Fuller is a terrific WR.